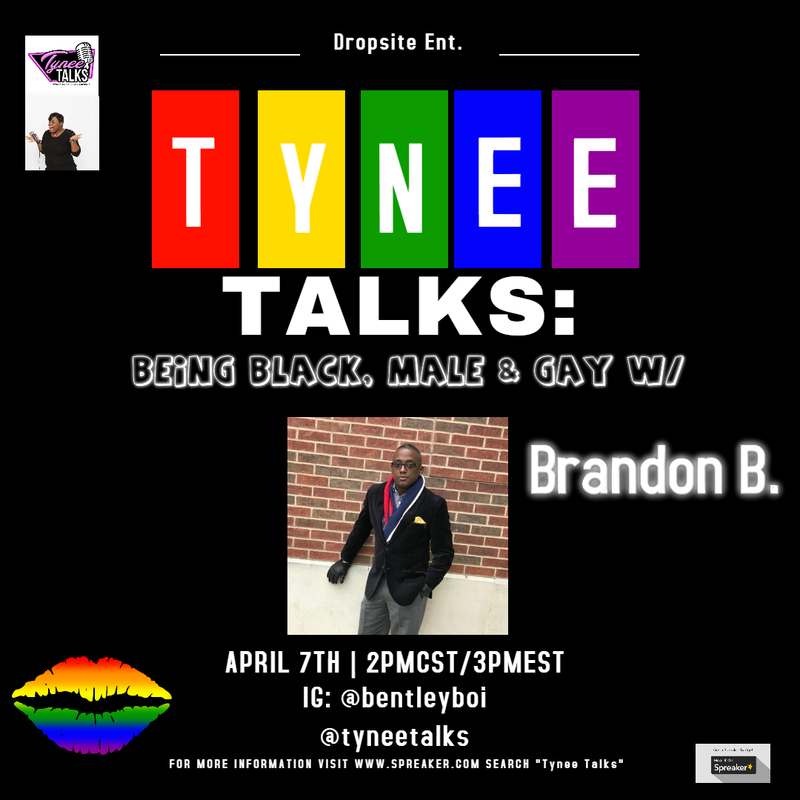 Tynee Talks with Brandon B. about what it means to be Black, male and GAY! On this episode of the Tynee Talks Podcast, I am exploring Black Male homosexuality. I uncover what it means to be queer and black in today's society. 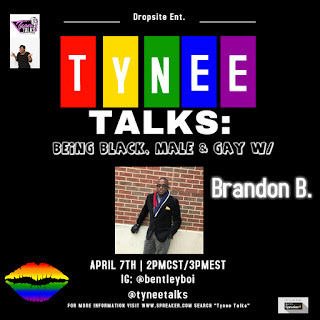 We touch on coming out of the closet, being "TRADE", "Down Low Brotha's", Gay's in the church and much, much more... Brandon was so candid and un-apologetically gay and Black in this interview, that you won't want to take your ear buds out!! !